I used to enjoy joining really alot of competitions. mostly were held at sg wang plaza. and this version of the blog is about the competitions which i took part from 2005 until 2008/2009. When I was only 17 back in 2005, I took part in the Spotlite Mr & Ms Campus but had to pull out from Semifinals due to personal reasons. So, I decided to give it another go in 2006 and then 2008. In 2007, I participated in the Miss Sunway Princess. Oh my, what was I thinking back then? Did I really thought that I looked like a princess. HAHAHA! How vain could I be? Looking back at the pictures really made me laugh at myself. But hey, it certainly was a beautiful experience. 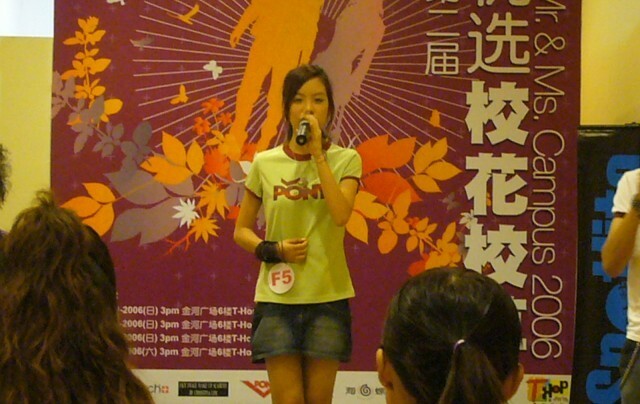 I love singing and had participated in numerous singing and dancing competitions too. From Jolin Tsai to Angela Zhang imitation/look/sing-alike or even random singing competitions. I don't usually win in any of these but at least I tried. I do remember getting consolation prizes for Angela Zhang, Jolin Tsai, Tank and Kym's look-a-like / dance competitions. Feel free to laugh at all my funny faces. At how I evolved through the years. I'd say I lost pretty much weight on my face but gain a lot at the tights.